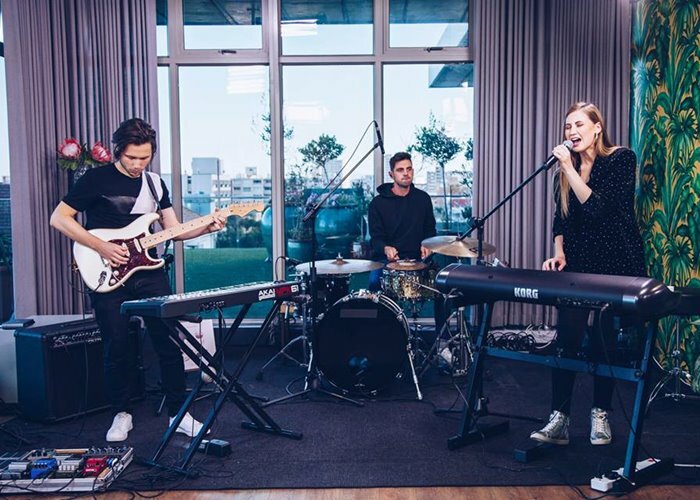 Emma de Goede (vocals/piano) and Gerrit Matthee (producer/multi-instrumentalist) formed EMERGER while studying music at the University of Cape Town. Emma graduated with a BMus in Jazz Performance, while Gerrit completed his BMus in Classical Composition. Their debut single, ‘Break & Fall’ was a winner of the Avid and Abbey Road Studios International Song Contest, picked from nearly 5000 international entries. They had the opportunity to travel to Abbey Road Studios in London for the mastering of this winning song. The Los Angeles based producer and judge of the contest, John Feldmann (Blink-182, Panic! at the Disco) said: “They have a great cinematic landscape to their music. They have a good image and are a good example of what modern music can be.” Since the release of their debut mini-album ‘Bloom’ in May 2018, EMERGER has been making waves both nationally and internationally.